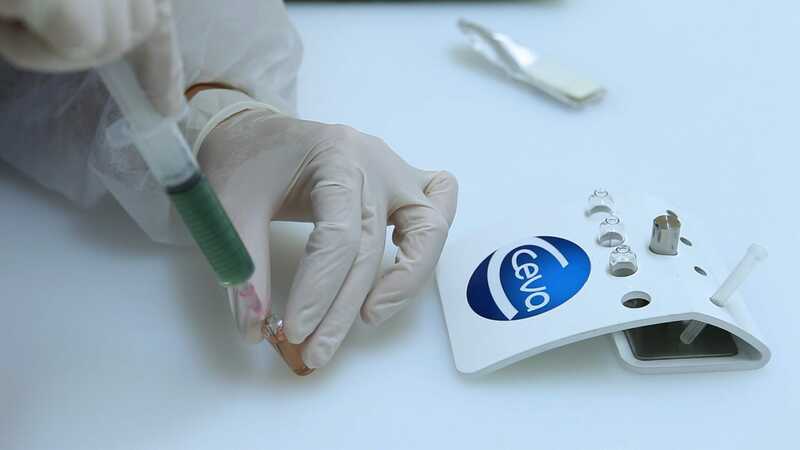 This article by Yannick Gardin and colleagues from Ceva describes the development of Vectormune® AI, and the benefits of the vaccine for protecting chickens from avian influenza. Vectormune® AI is a vector vaccine constructed from the FC126 strain of HVT inside of which genome a gene (the “insert”) encoding for the HA of an H5N1 HPAIV (A/swan/HU/4999/2006) has been inserted. The sequence at the cleavage site has been modified into a LPAIV sequence so to ensure safety of the vaccine. The development of this vaccine started in 2005 and was officially licensed by USDA in the USA in 2012. Later, it was also registered (and it is commercially available) in Egypt, Mexico (as Vectomune HVT AIV) and Bangladesh. Additional licenses are pending in Indonesia, Nepal, Pakistan and Vietnam. From its market introduction in 2012 up to today more than 370 million birds have been vaccinated with this innovative vaccine. Moreover, it is expected to reach more than 500 million birds vaccinated at the end of 2015. In order to complement information included in the original registration file, several scientific investigations, controlled trials and field studies have been conducted to increase the knowledge regarding its characteristics and performances, so the prescription and decision for usage can rely on broader information. Field experience from large commercial use has also enriched this experience and knowledge. After vaccination of SPF chickens, Vectormune® AI induces antibodies easily detectable by the Hemagglutination Inhibition (HI) test (using homologous antigen), as soon as 3 weeks post vaccination in the majority of the tested animals. At 4 weeks of age, all vaccinated SPF chickens seroconvert with HI titer values reaching 5 to 6 log2. This antibody response keeps on increasing until at around 9 weeks of age, and reaches a plateau with high titer values of 9 to 11 log2. In chickens with MDA against AIV, protection comes also from MDA which are actually protective and it has been observed that active immunity induced by vaccination cumulates with MDA protection so that overall early protection is increased. For this reason, in endemic countries, vaccination of breeders against AI complements and does not contradict day-old vaccination of broilers and pullets. More importantly, the lack of antibody response to the nucleoprotein of the virus allows for a possible DIVA monitoring strategy necessary for detection of field infection and eradication. In all experiments, Vectormune® AI was always injected subcutaneously on the first day of age and the challenge given between 2 to 8 weeks of age with a dose of 105 or 106 EID50 of challenging HPAIV. Protection against mortality was generally good to very good, varying from 70% to 100% depending on the experiments. These results included challenges with strains of different clades of H5N1 (1, 2, 2.2, 2.2.1, 2.1.3, 2.3.2.1), or different subtypes (Mexico 1994 H5N2, Germany 2014 H5N8) showing very significant antigenic differences from the strain used to construct the vaccine. These results suggest “cross clades protection against HPAIV of the H5 type”. It is believed that immunity induced by this vaccine is of humoral (antibody) as well as of cellular types, and of general as well as of mucosal types. A significant reduction of shedding considering the percentage of shedders as well as amount of virus shed was always observed but with different intensities. It is believed that the different experimental conditions and procedures (RT-PCRs of different types, virus isolation) partly explain these variations. These challenge results clearly make Vectormune® AI very different from the other vaccines that are still in use in many countries which adopt vaccination against AI, especially when it comes to efficacy. Vectormune® AI would probably induce a long-lasting immunity as it has already been shown for a similar HVT-vectored vaccine for ND (Vectormune® ND) using the same HVT strain as vector and also due to the replication characteristics of HVT virus (Palya et al., 2014). HVT is known to persist forever in vaccinated animals, so that expression of the HA inserted inside the Vectormune® AI vaccine is likely to persist as well as corresponding induced protection. Monitoring the HI test, antibody response (homologous antigen) to Vectormune® AI up to 12 weeks of age in commercial layer pullets with or without MDA against H5N1 revealed titers increasing and then keeping steady. Layer pullets of 2 different breeds, vaccinated at the hatchery and reared under the heavy diseases challenge conditions of Egypt, were transferred at 19 weeks of age to BSL3 facilities for virulent challenge. Protection levels of 73% and 60% were recorded (Kilany et al., 2014). The possibility to keep on monitoring spreading of the challenge virus in the presence of vaccination, so that vaccination does not interfere with the eradication plan. Indeed, Vectormune® AI is the only vaccine against Avian Influenza that fulfills all these aforementioned criteria. Yannick Gardin (Scientific Direction), Marcelo Paniago (Global Veterinary Services), Christophe Cazaban (Global Veterinary Services), Fernando Lozano (Global Veterinary Services) and Paola Cruz (Global Product Manager). Gardin, Y.; Palya, V.; Moore-Dorsey, K.; El Attrache, J.; Putnam, M.; Jones, K.; Paulet, P.; Paniago, M. Cazaban, C.; Lozano, F.; Yasuda, A.; Esaki, M.; Penzes, Z. and Huseman, B. Vaccination against Avian Influenza: What has changed, and what needs to be changed? In press. Kilany, W.H., G. Dauphin, A. Selim, A. Tripodi, M. Samy, H. Sobhy, S. Von Dobschuetz, M. Safwat, M. Saad, A. Erfan, M. Hassan, J. Lubroth, and Y. Jobre. Protection conferred by recombinant turkey herpesvirus avian influenza (rHVT-H5) vaccine in the rearing period in two commercial layer chicken breeds in Egypt. Avian Pathology 43(6):514-523. 2014. Palya, V.; Tatár-Kis, T.; Mató, T.; Felföldi, B.; Kovács, E. and Gardin, Y. Onset and long-term duration of immunity provided by a single vaccination with a turkey herpesvirus vector ND vaccine in commercial layers. Veterinary Immunology and Immunopathology 158, 105–115, 2014.